Freedom Boat Club has partnered up for the 2nd year with SeaCoast Anglers to take under privileged kids aged 9-15 fishing. Many of these children come from local churches or youth groups in the North Myrtle Beach and Little River area. Most have never had the experience of fishing in our ocean or creeks. We had our first trip out June 27th with 12 kids who had a fantastic time on the water. Special thanks to Hank Grenfell, Mauro Altizio, Duane Skinner and Donn McCrary for captaining the boats for us. You will need to arrive by 7:45am for a departure around 8am. You will return around noon and lunch will be served between 12:30 and 1:00pm. If you are willing to captain one of the boats, on any of the dates listed above, please call me at 843-732-4711. Seacoast Angler provide all the fishing gear and bait. Freedom Boat Club provides the boats, fuel, and BBQ. Join us for a Member Boat Trip out of North Myrtle Beach and Southport to Inlet View Restaurant in Ocean Isle for lunch on Tuesday, July 25th. 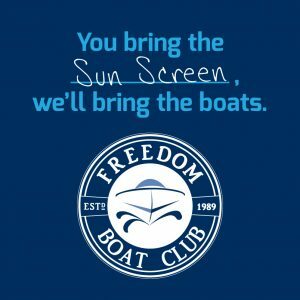 Freedom Boat Club will provide beer, soft drinks and water for the trip there and back as well as appetizers to share at the restaurant. Members will be responsible for their own meals and a share of the fuel. Bring what you would normally bring for a day on the water, except cooler, no coolers allowed. RSVP is required by calling 843-732-4711, space is limited so RSVP early! 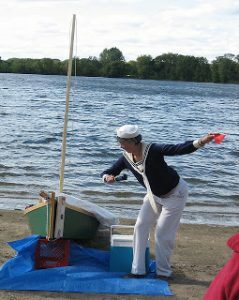 T he Freedom Boating Divas is designed to empower the women to be the captain and not just the first mate. Join us Thursday, July 27th at 11am for a boat trip to Anchor Café for lunch. We will travel though the rock pile and learn about the hazards of boating in shallow and rocky water. We will return around 3pm. Freedom Boat Club will provide wine, soft drinks and water for the trip there and back as well as appetizers to share at the restaurant. Members will be responsible for their own meals and a share of the fuel. Feel free to bring a friend! RSVP is required and space is limited so sign up early by calling 843-732-4711 or reply to this email. We will have 2 fishing meetings going on this month on Thursday, July 27th from 6-8pm. One in Southport and one in North Myrtle Beach. Stew will still rot ate between the locations and he will be at the North Myrtle Beach location this month. We have a new captain on board with us in North Myrtle Beach and his name is Capt. Todd Vic. He has been a captain and fisherman for over 30 years and comes to us with a vast amount of knowledge about fishing in our area. He is going to be the guest speaker at our North Myrtle Beach meeting. Bring a lawn chair as seating will be limited. Feel free to bring a friend. Freedom Boat Club has partnered with Seacoast Anglers for the Hook a Kid on Fishing program. We are taking several underprivileged kids between the ages of 9-15 fishing off-shore followed by a cookout at the marina. We need 3 volunteer members for each time we go to run the boats. Thanks you Hank Grenfell, Duane Skinner, Mauro Altizio and Donn McCrary for helping out last time!! Please call me if you are interested in helping out. We depart the docks around 8am and return at noon and are usually finished up around 1pm. 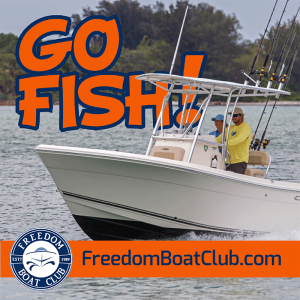 843-732-4711 or email kberry@freedomboatclub.com You will need to be off-shore certified to captain one of the boats. Thanks in advance.